CT51 Helping Hospital Stay Germ-Free in New England! 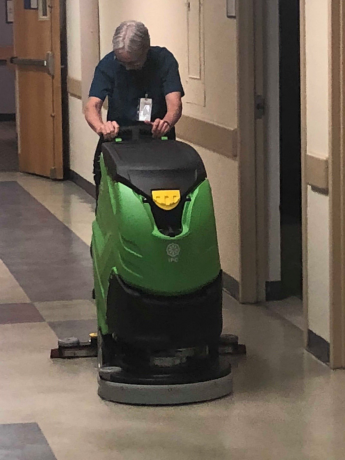 A hospital in the New England region recently got to test IPC Eagle’s newest scrubber, the CT51. With the scrubber being our newest product, it features many additional innovations. It has four interchangeable heads available, to fit any facility’s needs, a self-leveling system, allowing it to automatically adjust to the surface being cleaned, Advanced Noise Control (ANC) so that it can be used in noise-sensitive environments and Eco Select, which increases run time while reducing water and energy being used. While this scrubber is advanced in its technology, it still remains very easy to use and takes little time to train. To learn more about the CT51, click here to contact IPC Eagle.